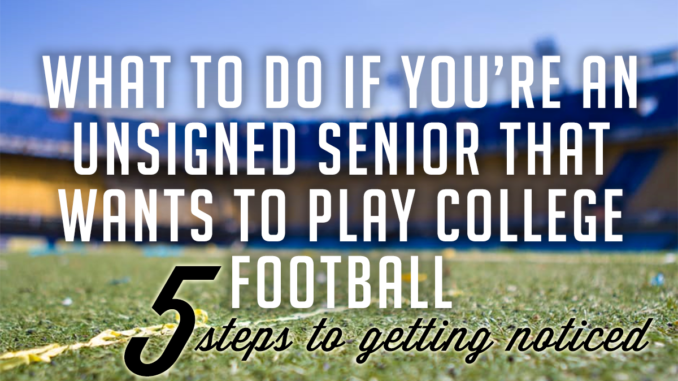 So National signing day has come and gone and you’re still waiting for a college scholarship. Don’t despair, there is still a chance you can play college football… especially if you are proactive about the recruiting process. First you have to understand that there is still a lot of recruiting left to do. 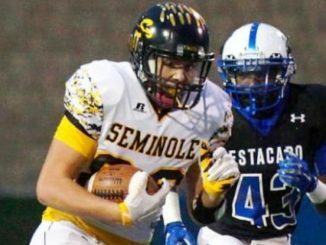 Many Division II, III, and JUCO coaches have been waiting for NLI day to be over so they can see who is left without a school and start to ramp up their own recruiting efforts. Indeed, February, March, and April are actually really hot months for recruiting, even for D1 coaches who still have holes to fill. If you are still set on going D1, your prospects probably aren’t great at this point. But there is the possibility of grabbing a preferred walk-on spot if you are interested. Make some calls and emails and see if your dream school would be willing to make that accommodation for you. If you are o.k. 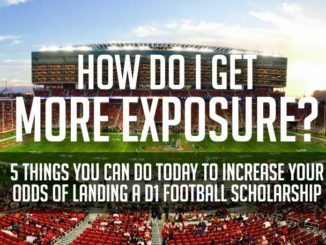 expanding your recruiting pool, then the following five steps will go a long way in helping you secure a scholarship. Identify your top 5-7 schools (you’ve probably already done this) as well as another 3-4 local (in-state) schools that would be good back-up plans. 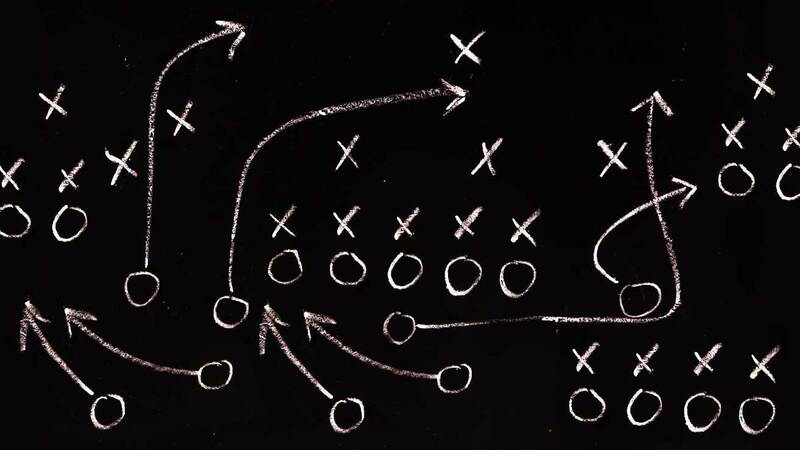 Get the contact information for the coaches at those schools and if possible identify who the “recruiting coordinator” is, or which coach is in charge of recruiting your position or geographic area. Reach out to those schools and coaches. Start by working the phones to see if there are still roster spots available, and if there are remaining scholarships or preferred walk-on spots. Get them your film. I bolded this because it is the most important step in getting recruited (aside from being awesome and creating a great highlight reel, but that should already be done). If they don’t see you play they can’t evaluate you, so your film becomes key in the recruiting process. Ideally, you would email them a link to your film after having talked to them. If you can’t reach them in-person or on the phone, then shoot them an email. Keep trying those methods, social media probably isn’t going to work because they have so much constantly going through their feeds. However, if they follow you then a DM might do the trick. While the film is the most important thing coaches will see, it’s also important to provide them the rest of your information. The coaches should have easy access to your measurable, stats, and any other information that will get you recognized. If you have an up-to-date HUDL account with your highlights and measurable, you’re probably in good shape. You can include stats and recognition as part of your film. However, if you want to ensure all your information is in one spot, consider posting your profile online. 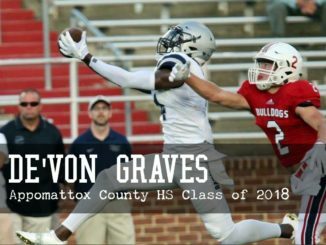 There are a few free places (like BeRecruited, NCSA sports, and MaxPreps) but those services are very limited in what they post. A premium profile at D1 recruiting is your most comprehensive solution (http://d1recruiting.com/add-profile/). Follow up, follow up, follow up. Keep at it. It is not going to be easy to contact all your schools and get a response. It is perfectly o.k. to send one or two follow-up emails to see if they’ve been able to review your film and look at your profile. Make your correspondence short and to the point, and show courtesy and gratitude. You are not entitled to a football scholarship, or even the privilege of going to college. But through hard work and determination you can earn those privileges.